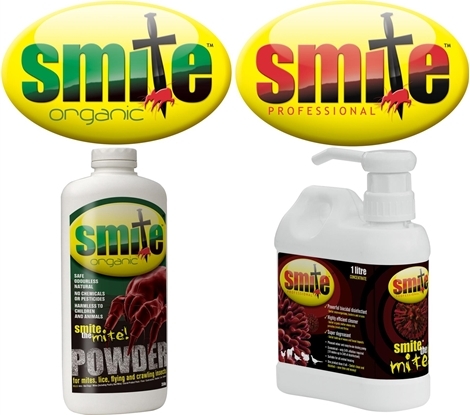 1 x 1 litre smite pro + 1 x 350g Smite Organic (DE). 2 step Coop Care pack. Save $4.90 off individual items. 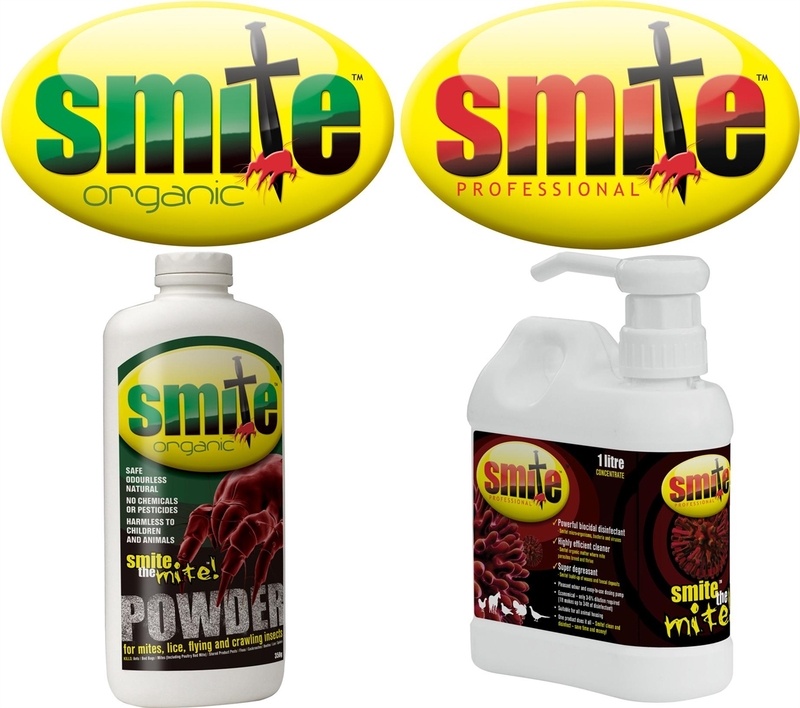 These two fantastic products used in conjunction with each other will help combat any red mite issues in your coop and keep them at bay in the future. Please see separate product descriptions for full details of each item.